England Golf have made the following announcement in relation to 'Preferred Lies '. Preferred Lies have been authorised for the period 1st October 2018 until 30th April 2019. 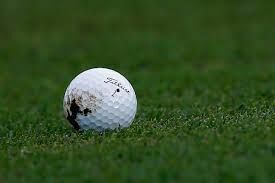 Please ensure all your members are aware of the correct local rule prior to play and inform all members when the Local Rules are lifted (to prevent any breaches during play). To comply with the new Rules of Golf, as of 1st January 2019, a change to the new local rule wording will be required. This will be made available in due course.